Outdoor Ventures has been dedicated to performance based education delivering real world river skills, advanced rowing and paddling techniques to our students since 1971. We offer an extensive multi day whitewater or fishing guide program as well as daily training courses for the private boater. 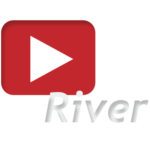 Where you will learn the river skills needed to keep you, your family and your guests safe while on the river. Learn to minimize your risk through performance based skill development. You have purchased or built a brand new or used boat worth thousands of dollars, now invest in your own safety! Wearing top of the line equipment, rowing or paddling the newest state of the art boat is only part of the equation. Now you need to be confident in your own abilities, be aware of your own limitations and be able to boat with skill and fluidity. Whether seeking advanced river skills, abilities in reading water for fishing or whitewater, basic rowing lessons, paddling instruction for river guiding or private recreational boating, each one of our student’s training courses are customized to their individual needs. When learning a new skill, it is imperative that your Instructors are well versed in proper teaching techniques. Knowing how to row a boat or tie a knot is only part of the skills a teacher must have. Delivering the new skill to the student in an efficient, thorough and clear manner is a key element in your training. Our instructors have over 50 years combined experience running rivers, guiding and fishing as well as have been trained in the fundamentals of instruction. Outdoor Ventures specializes in “one on one” training which enables you to learn efficiently and more thoroughly. Outdoor Ventures is dedicated to teaching you advanced boating skills and minimum risk travel on the water. Whether you are going to be fishing your favorite steelhead stream, taking your family on their first back country trip, or just bought a brand new boat and need some pointers before you go out, Outdoor Ventures is confident you will benefit from this training. The modern river guiding environment requires a high degree of performance and professionalism from you, the river guide. 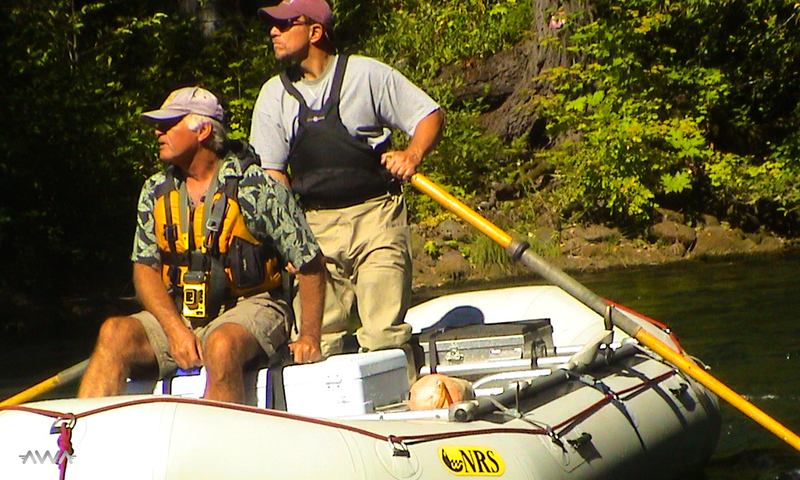 Being aware of your river skills, abilities and confident in them when needed on the river is a very important element we stress in forming your boating skills into “guide material.” The river skills you learn with Outdoor Ventures form a foundation of good habits & techniques that can keep you and your guests safe while on the river. Our training syllabus is performance based and designed to accommodate any level of boating skill you wish to acquire. Driftboats and Dories are our specialty! 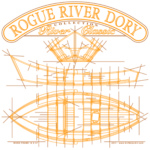 Outdoor Ventures provides advanced rowing skills to safely run your boat. The Outdoor Ventures registry is the standard that our training programs are based on. The registry documents your performance on the water. Although not required by any regulatory agency, this testing standard of your own boating skills and proficiency will benefit you when seeking employment and/or licensing in most states. Guides will especially benefit from the registry providing you with a bonafide portfolio of your professionalism and proficiency on the water. Registry with Outdoor Ventures may also entitle you to “preferred status” with insurance providers. 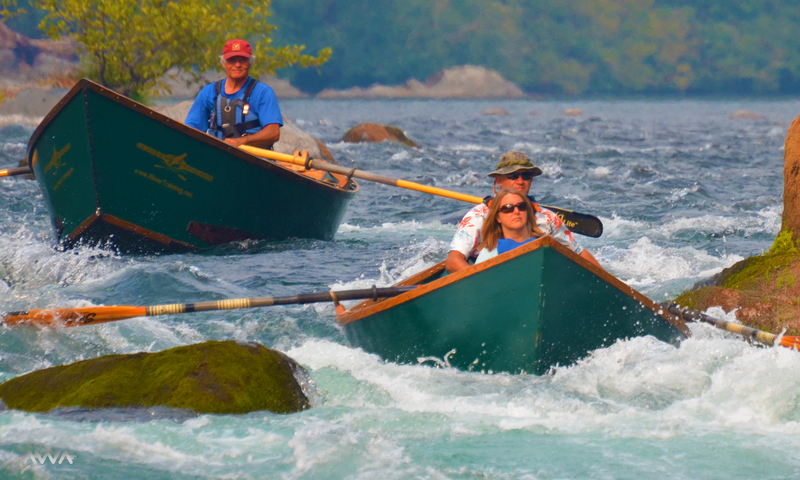 Outdoor Ventures welcomes you to come row, paddle and drift down some of our most pristine and scenic rivers. We love to convert folks into river people! Spending a day on the river allows you to relax from the hustle and bustle of every day life. Come see for yourself, the natural beauty and exhilaration that a river trip can offer your mind and body. 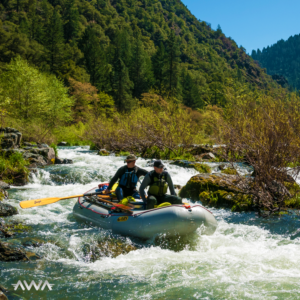 Whether you need a day of whitewater or a serene peaceful drift, Outdoor Ventures and our friendly, professional guides will accommodate your day on the river. Drifting down the river in a wood drift boat is an experience all in itself. 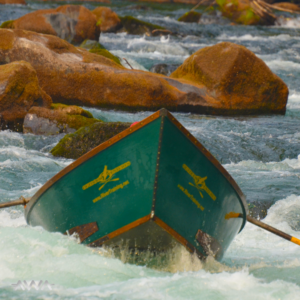 These river worthy boats have been developed throughout the years by Northwest pioneers who had the passion for running rivers and sharing their experiences with other folks. Sit up front in comfort while we row you down the river, drifting through emerald green pools and over roller coaster wave trains. 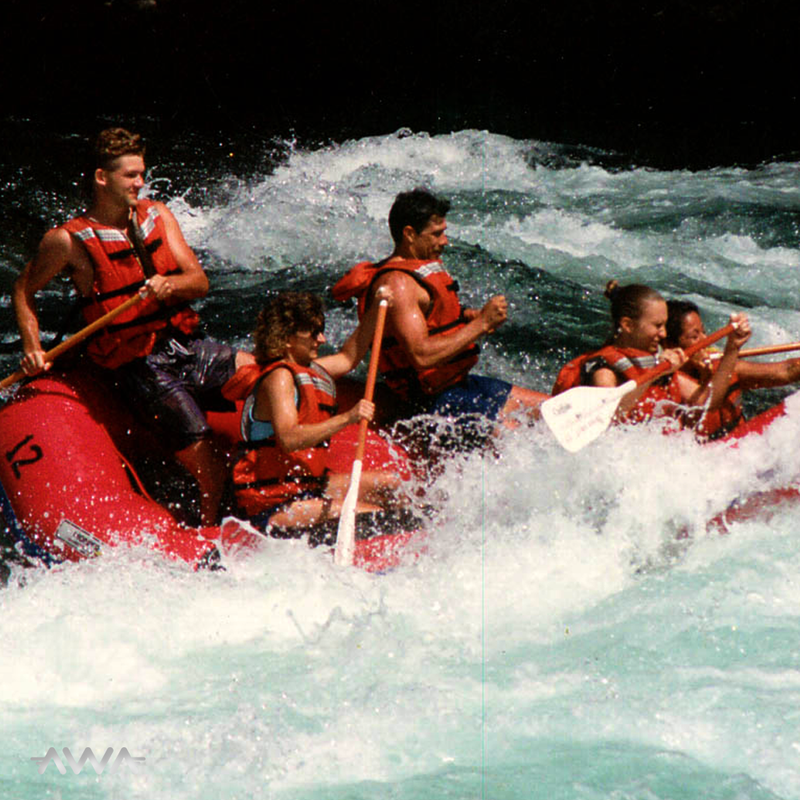 Enjoy the river from an inflatable paddle raft with your favorite group of friends or family. 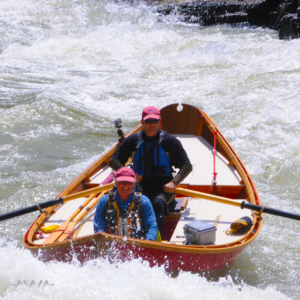 Become part of a team when paddling through a class III rapid. Relax on the water in calm pools, paddle through waves and holes with water on your face. View Osprey, deer and other Northwest wildlife along the shore. We believe that the river allows you to get your mind off of things. Sit back and relax while we row you down our favorite stretch of river. Give your mind and body time to relax, refresh and reload. Float through green water, big trees and steep valleys, allowing the stop lights, texting and honking horns to drift away with the current. Outdoor Ventures is your platform for photographing or filming your favorite subject. We have many years of experience helping individuals as well as professional crews get the shot needed. Follow your talent down the river in a separate boat enhancing your finished product. Boats are well suited for allowing you to get close to wildlife without disturbing their natural patterns. Make your own fish stories! 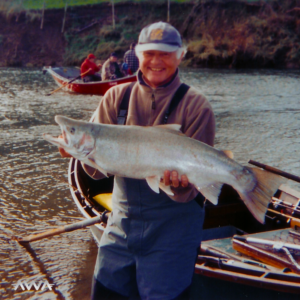 Outdoor Ventures offers fishing trips in Oregon for salmon, trout and steelhead. Whether a novice or professional, fly caster or conventional gear angler, you will enjoy your day on the river with our friendly, knowledgeable and experienced guides. Float down the river in a classic McKenzie style drift boat while fishing pristine green water for your favorite fish. 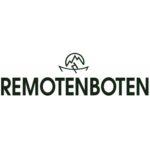 We strive to provide you with the most enjoyable fishing experience possible. This entales following local regulations as well as not harassing fish all day with hook and release practices for the mere desire of catching as many fish as possible. Responsible recreational fishing is practiced during all Outdoor Ventures fishing trips. Realizing that a wonderful day on the river with good people and relaxing scenery will do more for the mind and body! Their are many ways to run a river. 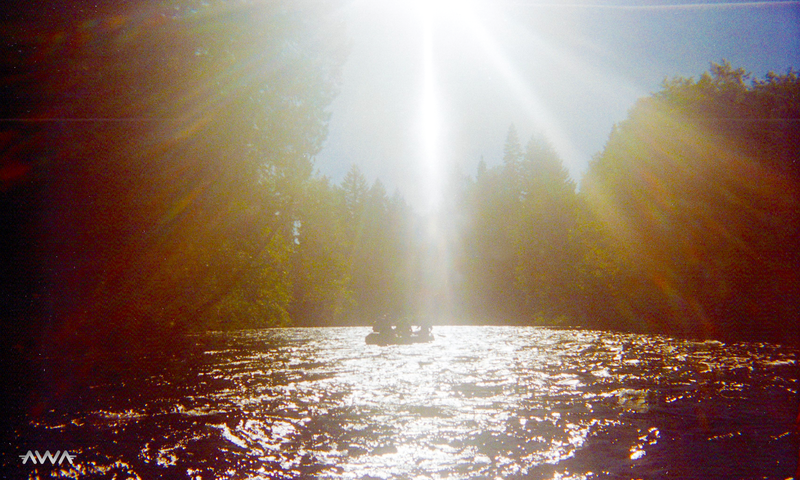 Being able to row, paddle and drift down your favorite stream is truly a special privilege. Outdoor Ventures can train you in a variety of hand powered river craft ranging from inflatable paddle boats, gear boats, catarafts, pontoon boats, drift boats, whitewater dories and inflatable kayaks. The use of your own boat is also recommended, since that is the one you will be using on the river. 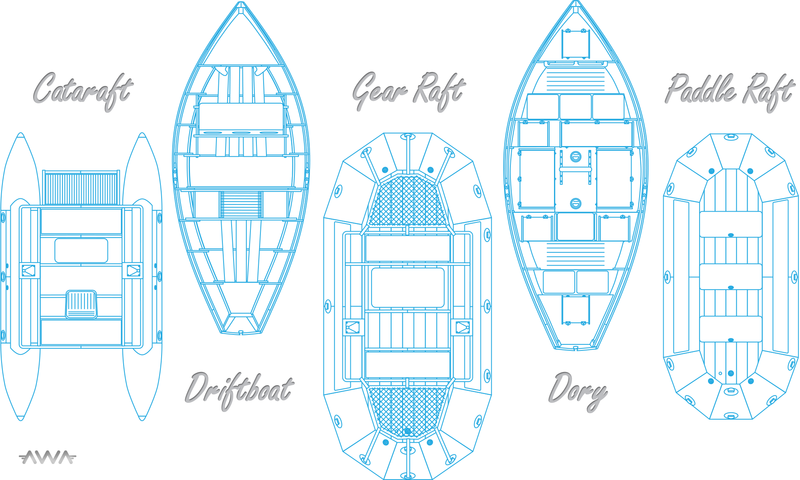 Driftboats and Dories are our specialty! Robb Grubb was taught how to row a driftboat as soon as he was big enough to pick up an oar on his own (about 8 years old). His teacher was his father, William Blair. William’s legacy lives on in Robb as well as the hundreds of students that William taught to row and paddle with grace and fluidity. 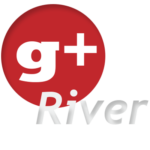 With this experience, along with family tradition, combined with an in-depth knowledge regarding the fundamentals of instruction, you are guaranteed a fluid and thorough learning experience when it comes to boating rivers. Robb will be able to show you advanced rowing and paddling techniques that only an experienced boatman can teach you in these highly versatile boats. There is nothing like being able to turn your boating experience into a fluid motion down a river, never in doubt of your abilities or your boats capabilities. Outdoor Ventures runs rivers in Oregon and Washington state. 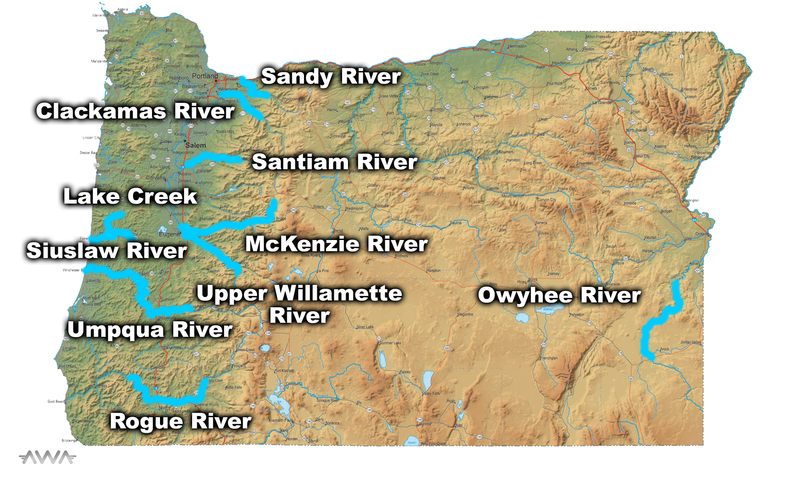 We are conveniently based out of Bend, Oregon near the McKenzie, Willamette, Deschutes, Owyhee, Siuslaw, Lake Creek, Umpqua, Clackamas, Sandy and Rogue river systems and many coastal streams. These rivers have an excellent variety of characteristics and difficulty to fulfill your training curriculum. 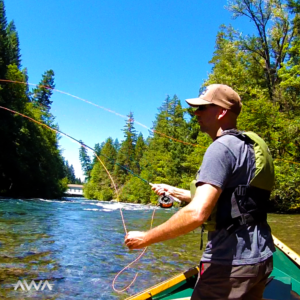 Our home waters on the McKenzie river provide a natural transition as you move from the lower river, upstream, from easy learning to more technical water. Outdoor Ventures also offers training on the Olympic Peninsula in Washington state, running the Hoh, Quileute, Bogachiel, Solduc and Calawah rivers. These rivers are run in the winter and spring before the level drops. Knowing how to run fluctuating river flows throughout different seasons and weather conditions makes you a more skillful and proficient boater. A normal course of training may be spread out over many seasons to take full advantage of changing water. Whether seeking river skills for guiding or private recreational boating, each one of our student’s training is customized to their individual needs on the rivers they will be working or recreating on. Enjoy OUTDOOR VENTURES brand logos and designs on shirts, prints, posters, cards, mugs and more!